Egri Bikavér is a red blend produced in Eger. It is the true essence of the red wines of Eger, a terroir wine, which carries the flavour of the soils of local production sites, the mezzo-climate unique to the region and the traditions and mores of local residents, from the selection of varieties to choosing the period and method of grape processing and mellowing. The exact date of the emergence of Egri Bikavér is shrouded in mystery. One thing is certain; the word Bikavér (bull's blood) was recorded as early as the beginning of the 19th century. Under the name Bikavér, full-bodied red wines were sold, not only in Eger and Szekszárd but other places as well. Legends grew up around the name, which tied it to the 1552 siege of Eger as related by Gárdonyi Géza. In its present form, also accepted by the public, Egri Bikavér is associated with the name of Gr?ber Jen?, Eger vigneron. Sugár István (1981) writes: 'I have searched different sources for the composition of grape types constituting bull's blood. The earliest record dates back to 1912, when, in addition to kadarka, I have found blue frank, cabernet and merlot'. At present, Egri Bikavér is produced in accordance with a regulation designating 3 tiers of quality: classicus, superior and grand superior. The product description contains the rules of yield restriction, fermentation sur marc, aging in barrels and bottles, as well as the marketing and trading of the wines, for the different tiers. Egri Bikavér is a Kékfrankos-based dry red wine blend, ranging from garnet red to deep ruby, with flavours and aromas presenting rich, spicy and fruity characteristics, without a tannin accent. Aging and fresh fruit aromas are both characteristic of the wine; its complexity is well illustrated by the fact that the characteristic feature of the wine is that no single grape type can dominate the wine in question. 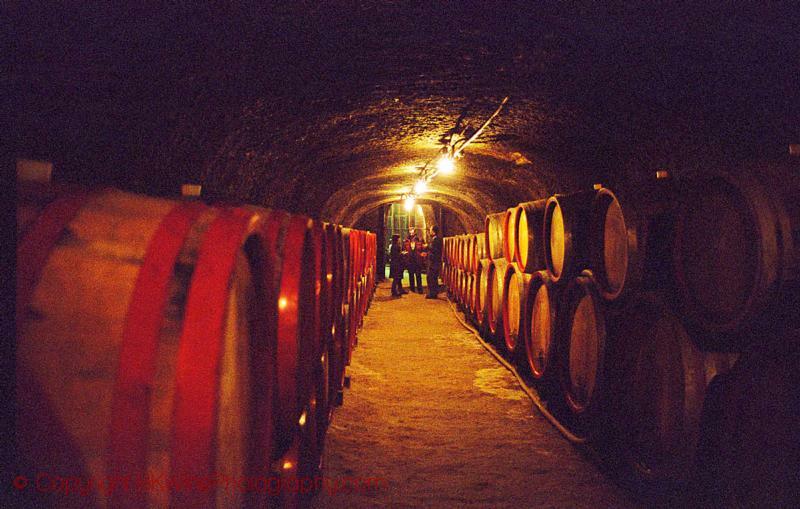 Due to the riper, more concentrated grape produce, as well as the extended aging in barrels and bottles, Superior and Grand Superior wines have marked aromas of mellowing, lasting flavours, full body and a long shelf-life with minerality and ideas in harmony with the production areas (sites). The difference between them is usually manifested in the fullness and duration of the aroma. "Produced in accordance with centuries-old tradition, Egri Bikavér is still a blend of noble and indigenous varietals, aged up to two years in oak barrels in volcanic stone cellars. The fierceness, however, has been tempered, so today’s wine is a delicious, dry red wine, as elegant as it is robust.